Stand-Up for Clean with the Chariot 3 CV 86/1 RS Bp. Trust this next-generation stand-on vacuum to cover large areas quickly, effectively and ergonomically to improve your facility appearance and indoor air quality. 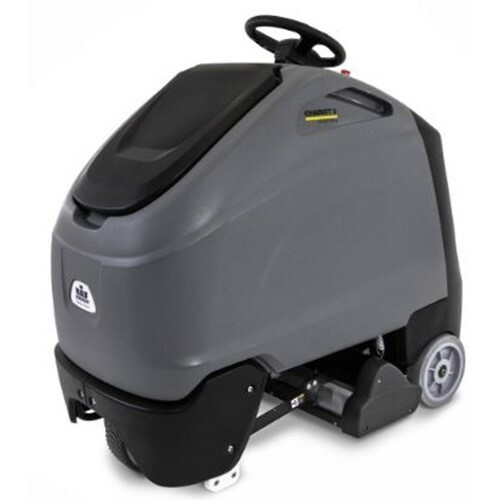 This high performance, multi-surface cleaning HEPA stand-on commercial vacuum is designed for increased productivity and maneuverability on hard and soft floors. In applications where a sweeper, wide-area vacuum or dust mop can be used, the Chariot 3 CV 86/1 RS Bp vacuum series is all you need.